Happy Monday! I hope you had a fabulous Easter! My poor husband had to work but I got a chance to spend some time with my family. 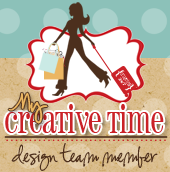 Today is another fun and fabulous day at My Creative Time. 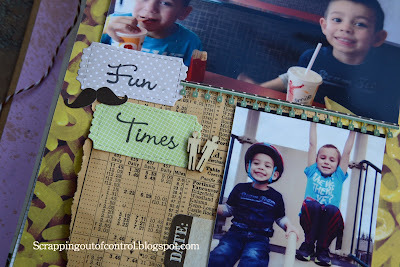 Scrapping the Little Things is one of my favorite challenges because I get to play in my Smash book! And Miss Emma has so many stamps sets for those Smashers and those Project Life peeps! So heres a page I made using MCT stamps. I love smashing because its fun and simple. No need to be perfect. To me, smashing is my private journal. I can add what ever I want without worrying about matching colors or measuring paper...Just let your imagination run wild. Heres a quick video of how I created these pages. Thank you for stopping by today and make sure you check out the rest of the design team for more creative ideas! 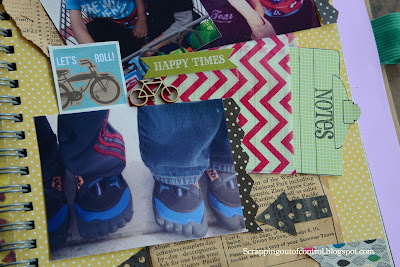 big crafty hugs to you all! 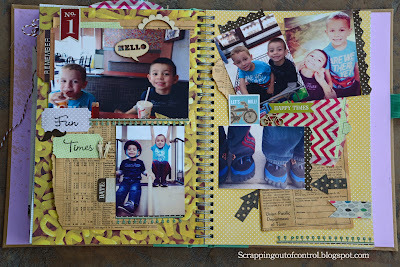 You always make the best Smash Book pages! Love it!!! Great video...I wish it would go that fast :D Just when I think you are done you find more cuteness to put on the page. I love how it turned out. Wonderful job. I like the hidden slide for notes. Nancy ~ WOW! Yep the "Queen" of Smashing stikes again! Well the little ones are to CUTE and LOVE their shoes!! I really am in AWE of how you do this and how AWESOME your pages always look! Bravo! Wholly, Mholly what great pages you truly smashed these out in style Gundham style (LOL) you took these pics to the moon and back with what you did. Fantastic job and lots of talent here for sure.